When I first started my agency in 2003, I knew my craft well but didn’t have much of a clue about business. What I did know was that I needed clients – and my clients are businesses – so one of the first things I did was join the local Chamber of Commerce. This was definitely a case of “accidental smarts”, where I took the rights steps quite by accident. Yes, I gained a few clients – but more importantly I found this was the beginning of my journey into “business” as a skill that is additional to my craft. And over time I’ve discovered the power of human connection that can only be found through networking. Today, business networking in Geelong is much more diverse and vibrant, with lots to offer new businesses, startups and people moving to the area. The Chamber is one of the most active and prolific in the country (and is also in fact the oldest). The monthly “After 5” events regularly attract 100+ attendees, and offer a showcase of an individual host business and plenty of networking time. There’s a good spread of businesses that come to these events, some large and many small. The Chamber also offers business support, advocacy and advice, and runs several programs including mentoring and group workshops. If you’ve never been to a BNI event before, I suggest you get yourself invited simply for the experience. It is a referral group rather than simple networking – each group is run using a model that encourages referrals to other members as everyone learns what each other does. Uniquely, each group only allows a single business from each category. Meetings are very structured, with every member giving a 90-second presentation before handing the mic to the next person, followed by time for one or two select longer presentations. BNI can be great to improve your networking and public speaking skills if you’re just starting out, and the referrals can be very beneficial to some types of businesses (not so much others). The Geelong region has at least six BNI groups: four close to the City, one in Torquay and one in Ocean Grove. BPW is fairly active in Geelong and has the goal of empowering business women and female professionals through support and professional development. Not being a woman myself, I haven’t been able to attend any meetings – but I have seen some of the open events they’ve held with visiting speakers and they are inspiring and well organised. Another one for the ladies, this is an active group holding monthly events with a guest speaker, networking and generous amounts of champagne. They also have a “chocolate shoe” door prize. Why haven’t I seen this at mixed-gender networking events? This is a relatively new group that’s growing fast under the direction of new President, Matthew Fletcher. With a goal to improve and inspire the business community in Geelong they hold regular networking breakfasts with guest speakers sharing inspirational, entrepreneurial stories. Personally, I love the energy and momentum of this group and I can recommend you get along to one of their events to check it out. A group specifically for young professionals, this is auspiced by the Chamber of Commerce but is organised independently. They run monthly events with great guest speakers. Because many of the attendees here are employed professionals, rather than business owners, there is less pressure to “press flesh” which can be a welcome alternative to some of the other groups. The Geelong Business Club – in contrast to the GYP group above – is aimed at senior business executives. Regular meetings with guest speakers, if you’re lucky enough to get along to one of these meetings you’ll find yourself rubbing shoulders with some highly experienced business owners and managers. A very active Facebook group with over 3000 members, with dedicated administration that keeps out spammers. This is one of the most connected and active business groups online in Geelong, so if you’re running a small business and you’re not a part of it yet then get on board. 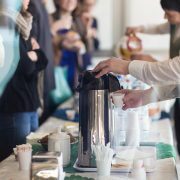 It’s a great place to ask questions or get referrals, and the group also holds regular, casual get-togethers over coffee or meals. Some groups exist in specific industries to support the development of that industry, and these can be very beneficial for members. While these are not necessarily focussed only on networking, they exist to serve their members and can give you connections with relevant and helpful people. 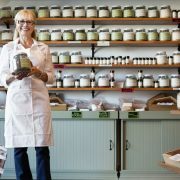 There are also plenty of local trade associations around Geelong that develop the retail opportunities within their area. Some of the keystone events on the Geelong Business Calendar are powerful networking opportunities as well being educational and fun. You can keep up with these events and more through the Enterprise Geelong Business Calendar, so check that out as well. The Geelong Advertiser also publishes some great content about the Geelong small business community. So make sure to checkout their column for any upcoming news or events that might be on. We were luckily enough to be mentioned in this article. Networking is a great way to meet people, learn, and encourage each other in business. For some, it is also a powerful way to attract new clients. So get out there – I look forward to seeing you at one of these events soon. If you are a professional working independently or running a business, a good quality website is important in getting new clients. Many people, particularly the young, go straight to Google as soon as they need a lawyer, accountant or any other service. The peak of the phonebook has long since passed. Here are some ideas on website design for professional services. The most important aspect of your website will be the services page. If someone comes across it, it’s because they are looking at having something done for them. List the range of services that you or your firm offer so that a potential client can easily see if you can help them or not. A list or dot points can work fine, because this information doesn’t need too much detail. Having quick profiles of you or your team can help customers decide to use your services. People like to familiarise themselves with businesses and feel like they will receive personal service, so having short biographies with a picture can be a great way for them to make that connection. Remember to include their qualifications and also any special achievements that might seem relevant. Many potential clients will want to see your previous work or hear from past customers. Seeing a prior success or hearing from a satisfied customer can give them a lot more confidence in your business than the same words coming from an employee. It is important to be able to demonstrate your abilities and show how you can solve a customer’s problems. A strong testimonial can be a powerful tipping point for a customer to choose you over the competition. Because most customers will want to use professional services that are nearby to them, it is important to clearly show your location. The suburb is enough for most parts of your web page, but a full address should also be easy to find. Include your business hours as well, so that customers know when they can drop in and visit or make a call. Keep your contact page updated with all of your latest details, including phone numbers, email and street addresses. If any of the information is out of date, it’s an easy way to lose business. If you want to be at the top of the pagerank for your area, keeping a frequently updated blog is a great way to move your site up the ranks. Search engines like fresh content that features keywords, so a long term blogging strategy can help your business become higher on Google’s results page. Write about industry related topics and give readers free tips. Staying connected with your audience is a great way to keep your old clients and bring in more. Another way to keep up with your clients is to keep an email list. Sending out a weekly or monthly newsletter can put your business fresh in the minds of clients and hopefully help you get repeat business. If you give them a punchy subject line and offer your customers news and deals, it can help bring in people who were previously unsure of your services. A strong web presence is important for any start-up that wants to expand quickly. The fastest way to disseminate information is through the internet. If you want your company to be innovative and grow fast, having a cutting edge website is an important starting point. Here are some tips on website design dor start-ups. The landing page is the most important for any business, however it is even more crucial for a start-up, particularly if the business is not yet well-known or people are unfamiliar with the services. A landing page needs to be visually appealing, but also get enough information across to make people want to keep going through the site. You need to be selective of what information you include and where you put it. Walls of text will kill your page and users will hit the back button instantly. Choose what you think are the most important details; the things that will appeal to and entice customers. You need to think from the customers’ perspective and highlight what they would want, or the value that they could get out of your product. Give them just enough information to be interested in your product and to want to visit the other pages. Scroll down pages are also an option, so that the customers don’t have to click away to get more information. Thoughtful branding is imperative for any business that wants to expand rapidly. The company needs a consistent name, logo, complete set of values, design scheme and strategy if they want to have a broad consumer appeal. They need a thorough understanding of their target audience and to tailor their strategy appropriately. If the values of the company and the audience do not align, the business will struggle to gain a foothold in the market even if it has an effective product or service. Knowing your audience or target market is essential for any brand. It is important in all stages of a business, from research and development of new products, to marketing and advertising them. If you don’t already understand your audience, you may want to do some market research so that you can tailor your business strategy, products and advertising to suit their needs. It is important that your website demonstrates exactly what you do. You need to creatively use text, pictures and perhaps video to show off your products and services . 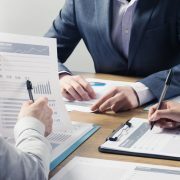 Illustrate the value that your company can bring to an end user and perhaps, depending on your business strategy, illustrate the key points to potential investors. It is important to mix quality products with strong branding and differentiation from the competition. This combination can help you stand out in the market. Having an effective and informative blog is important for engaging with your existing and potential customers. You can give them interesting industry information, or just details, tips or tricks on your own products. In an age where content is king, maintaining a blog that appeals to your audience is important for connecting with your market. If your start-up needs a new website, contact us or visit our website design page. For a long time, small businesses could hold out on getting a webpage. Now, small business who either lack a webpage or have an outdated page are missing out on potential customers . In a lot of situations, it could be costing the business a lot more in lost sales than the cost of either constructing or maintaining a modern page. Here are some simple tips to consider to make sure that your webpage is effective in representing your business and bringing in more clients. Of course, the exact needs of a business will differ, but these general ideas can help with website design for small businesses. Above all else, you need to make it clear what your company does and what it does best. Tell your customers the specifics of what you do or sell and highlight points of difference from your competitors. If your company has higher quality products, better quality service or is known to go the extra mile, make sure that your customer is aware. 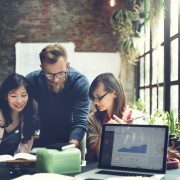 Particularly if you are a small business that offers services, having a case study of your previous work can be a great way to appeal to new customers. If you are a tradesmen, some pictures and a few words to describe one of your past jobs can be excellent in convincing people to use your services. If you do something else, find a way that you can show off your great work. If possible, include a visual element, because this makes things more appealing to people. Get a quote from one of your previous clients and put it on the page. This can be a great way of getting customers to trust your business, particularly if the person is well-known and respected within the community. Their words vouching for your product or service can do a whole lot more than your words alone. Include some information about your business’ current situation as well as its background and history. Customers like to be able to familiarise themselves with a business, so this can be a great way to get them to trust you. Don’t forget to include any awards or special achievements that you or your company may have received in the past. A blog can be time consuming and expensive for a small business to operate, but it can also be beneficial. If you or someone you know are a capable writer, feel free to do some research and try it yourself. If you aren’t confident, consider hiring a professional service or a freelancer. It can be cheaper than you might think. A good blog can help you engage with your customers and also keep you at the top of the search engine rankings. Like blogging, a newsletter can be a great way to keep up with your community. You can even recycle some of the blog’s content. To make a newsletter that is effective in bringing you more business, make sure that it has a snappy title and also include some offers or discounts to entice your customers. Keeping updated contact information is pretty straightforward. Don’t miss out on business by letting people call up your old office number. Keep your email, phone number, social media, address and operating hours accurate. If you own a small business and need a new website or a website makeover, contact us or have a look at our website design page. A life coach needs a top-of-the-line website to help sell their brand and their services. In such a cutthroat industry, both image and substance are particularly important to attracting and keeping clients. Self-promotion is an essential aspect, so content needs to be added continually to the website to connect with clients. Website design for life coaches can be a confusing process, so here are some tips to optimise it. The home page for a life coach needs to sell the branding and services as quickly as possible so that a potential client will look through the rest of the website. It needs to be visually appealing and attractive, including testimonials and the unique points of difference from the competition. Branding is key in the life coaching industry. The websites of the competition are filled with slogans and specific jargon that set them apart from each other. If you really want to distance yourself from the competition and stick in people’s minds, you need to come up with a cohesive brand. This can include a range of things; from slogans to specific words or techniques, to a logo and colour scheme. Understand your target market and brand yourself in a way that appeals to them. If you want to appeal to twenty-years-olds, your branding and marketing strategies will need to be very different to if baby-boomers are your target. A page dedicated to case studies is necessary to show the product or services in action. They need to show a transformation that would inspire a potential client to join with the life coach. A good story that demonstrates the positive change and value that a client could get from using the service will help to convince potential customers. Just as important as case studies are testimonials. People are much more trusting of words from happy customers than they are of those from people within the business. Good quality testimonials can give validity to your services and help to increase sales. A stimulating About Me section is crucial for a life coaching website. Potential clients want to see that the coach is successful in life, because if a life coach can’t sort out their own problems, how can they help to fix someone else’s? The About Me section should include past achievements, adversity that has been surmounted and a story of the coach’s rise to success. 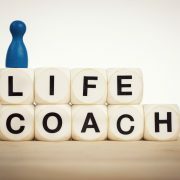 The services of a life coach can differ from things like one-on-one coaching, group classes, seminars, eBooks and more. It is important to list the exact services and products that are offered, how they differ from the competition and what value they will deliver to the client. To help with boosting sales, it is important that clients are clear about how the product will help them and how it can give them something that they want. If you offer seminars or classes, setting up an events calendar is a great way to advertise them and let people know when things are happening. Blogging is very popular with life coaches. It is an effective way for them to continually connect with their client base and also to market their ideas, products and services. A blog full of useful tips can help to attract more people into paying for your other services. Posting regular videos or hosting a Youtube channel can be another great way to connect with an audience. A significant portion of people are better at learning through videos rather than reading, so it can help you reach a demographic that would have otherwise skipped over your information. Email newsletters are another popular way that life coaches can get their message through to people. Catchy and intriguing subject titles can ensure that more people open them, while concise, informative and engaging content will keep them reading. They can also include offers for products, services or discounts in order to help entice people into making purchases. A good contact page is important so that people can contact you and your business with any potential queries or if they would like to make purchases. The page doesn’t have to feature a lot of information, just reliable ways that people can make contact, such as email, phone numbers, social media and office addresses. It may also be a good idea to mention office hours or hours that your business is able to take calls. Having a well designed and effective website is a vital way to bring in more customers and build your business. Do you need a website? Have a look at our page on website design for more information. There is a large variance in website design choices for software companies and it all depends on the type of software as well as the market. If the company is a software giant, their website needs will obviously be different to a start-up or a niche software company. Likewise if the focus is on business-to-business or business to customer sales. Software as a service will also have divergent needs to software as a product. Here are some general ideas to consider in website design for software companies. The most essential page is your product page. Depending on the company, it could also be called services or even solutions. Regardless of how you title the page, it needs to highlight what products or services your company provides and how you can help the consumer. It needs to clearly show the value and how the product can solve problems that a potential customer might have. It is important to think about the product or service from a customer’s perspective so that the most important features are highlighted. The key to getting more sales from the product page is to make the customer think that the product or service will solve their problems or add value to their life. It is crucial for a software company to have a good support page. As there can be a learning curve to using software and things can also go wrong, it is important that customers can easily find solutions so that they can have the most seamless user experience possible. A good support tab could include many things, such as an FAQ, a forum or community where users can discuss their problems, tutorials, training and a helpline. A good FAQ should have comprehensive answers to all of the common problems, while a forum can foster a sense of community and also come up with solutions to rarer problems. Simple to follow tutorials or complete training programs are essential for helping users find the most effective ways to use the products or services. If the information in the FAQ, forum, tutorials and training is comprehensive, their will be fewer people who will need to ring the helpline to get one-on-one support. If your company offers updates, extras or anything else that a user might need or want to download, a specific page is a vital resource. Depending on the quantity of downloadable content, it needs to be well organised and easy to find things, perhaps with a search function. Being able to sell your software online can be a selling point or even an expectation for many modern consumers. The importance of this option is will vary with the size of your company, type of product and whether it is business-to-business or business to customer enterprise. If this is a viable option for your company, it can simplify the purchasing process for the consumer, which can lead to more sales. Testimonials from businesses or customers who are using your product are a great way to convince potential buyers of the value that they could receive from a purchase. An honest person’s opinion and positive experience about a product can be a great way to convince those who are on the fence. Keeping up-to-date information in your About section is important for potential customers and clients who want to know about the history or background of your company. This can help them learn about your company, its development, values and if it is reliable. To stay connected with customers and to rank highly for SEO, it is important to post regular blogs. They can include specific product information, industry related news or anything related that could be informative or helpful to your readers. This is a classic way to stay connected with your customers. You can recycle content from your blog if necessary and also combine the emails with offers or discounts. Appealing titles are important in getting people to open your newsletter. If your customers can’t get in contact with your business, you will lose a lot of potential sales. It is simple to keep updated contact information, including email, phone numbers, social media, office address and contact hours. A thorough and visually-appealing website is important for any software company. If you fail to consider some of the import aspects of the design, it could cost your business in sales. Welcome to the Choc Chip Blog. Hopefully you learn something here. The map on your website may be broken! 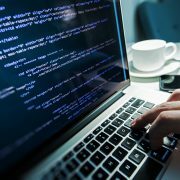 Major Drupal security vulnerability discovered. Your site may be in danger! Be mindful, at least twice a week!